Rain or Shine Guides. Walrus on a bike found at 8th Ave. N.W. and N.W. 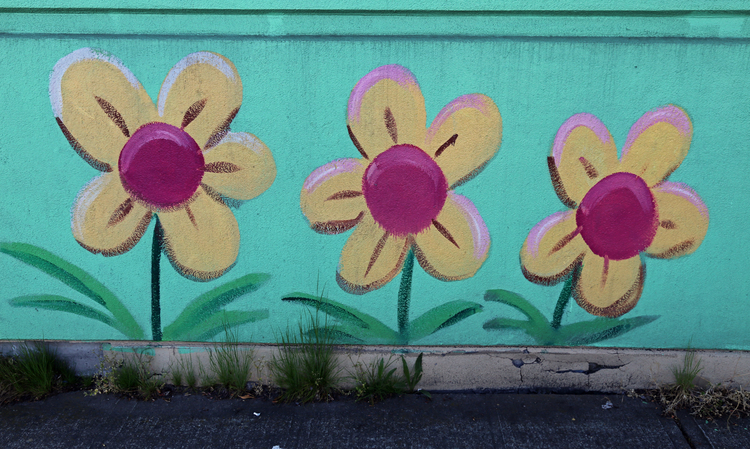 67th St.
Henry (full name Ryan Henry Ward) has been brightening up Seattle since 2008. How so? 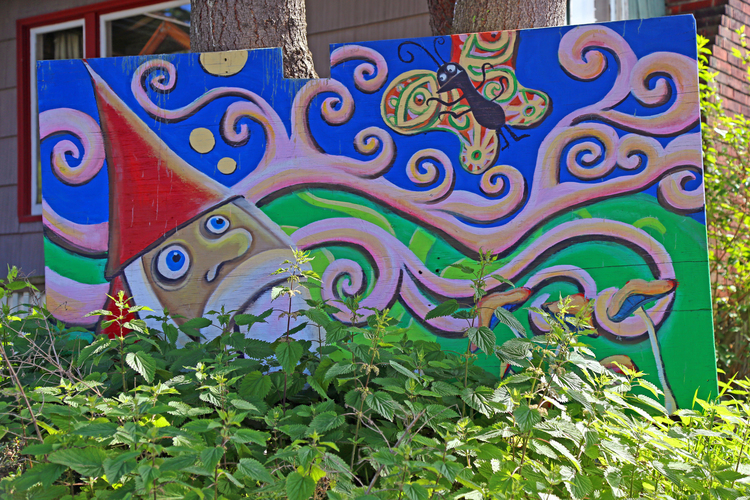 With quirky, whimsical murals depicting fantasy characters and wide-eyed creatures on colorful backdrops all over the walls of Seattle. He has more than 200 murals painted on various surfaces around town and, unlike many street artists, he always works under the permission of the owner of the wall. If you are trying to find the deeper meaning behind his art you don't have to. This isn't Banksy trying to make you question the decency of humans, Ward stated in an interview with the "Seattle PI:" "My message is cheerfulness and brightness," Ward said, "and encouraging a fun-loving spirit." This is definitely a message we can get behind! 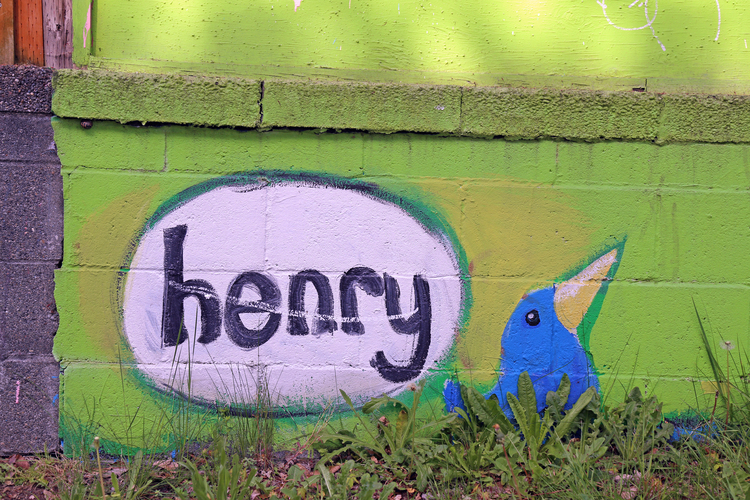 You have probably seen a Henry Mural if you have explored the city much and you might not have known it was one of many created by Henry. If you haven't seen these works of art in person yet, we found a handy-dandy map to start you on your journey! While the map is not a complete list, it is a good starting point. We have discovered some of the murals listed on the map have been painted over (sad face), but don't worry, the majority are still around. Interested in buying his art? You can find out more on his website here. You'll know it's a Henry artwork by his signature! This article was originally published by Rain or Shine Guides and appears here with permission. Rain or Shine Guides is an online travel guide to the Pacific Northwest curated by two curious Seattleites. They will taste anything, travel anywhere, and try everything to make the best recommendations for your next PNW adventure.